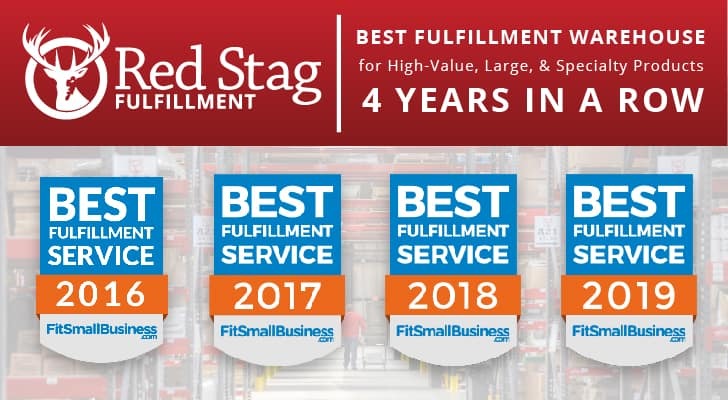 Red Stag Fulfillment is honored to announce that for the fourth year in a row, FitSmallBusiness.com has awarded RSF 2019 Best Fulfillment Service for High-Value, Large & Specialty Goods! The rise in the number of online sellers, whether through a unique e-commerce store or as a vendor on marketplaces such as Amazon, Ebay, or Etsy, has driven the need for tailored fulfillment solutions. There’s no doubt that Amazon Prime has created an environment in which customers expect orders to be correct, free of damage, and delivered to their doorstep in two days or less, 100% of the time, with no exception. Today, thanks to social media, customers also have the ability to influence millions of other potential consumers with a simple Tweet or Facebook post. This is an environment that was simply unimaginable 10 years ago, and it makes having a seamless and unwavering fulfillment process all the more critical. For young business that are able to grow their online sales past the point of their self-fulfillment capabilities, or even for established businesses that developed before the age of the Internet, giving away inventory management control to an e-commerce fulfillment company can be a terrifying prospect, and rightfully so. Yet finding the best fulfillment service that handles products in your particular niche can take the worry out of this choice. Niche order fulfillment is a great strategy to ensure successful handling of your online orders. Oftentimes, e-commerce fulfillment providers focus on certain types of products or physical characteristics of products in order to capitalize on synergies – becoming specialists in their respective niche. Tremendous value can be derived through specialization in a couple of key ways. First, through product specialization on a much narrower niche of product types, the fulfillment company becomes a far superior resource to your e-commerce company since they are knowledgeable of all facets of the narrower niche – from product packaging to specific shipping dynamics. In this capacity, they can offer far greater advice and act as a much more impactful partner in your logistics setup and management. Specialization also gives you the benefit of reduced costs. 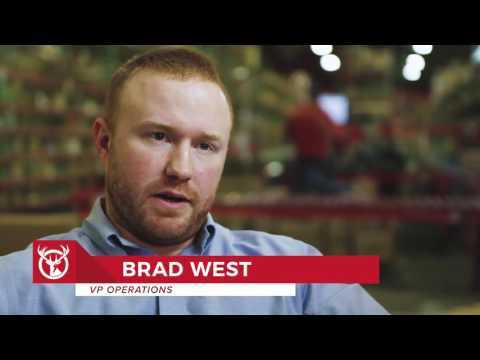 A product focus on a specific set of product characteristics, systems, warehouse layout, staff training, freight carrier shipping discounts, and other factors helps the fulfillment company to lower its operating costs. More traditional non-specialist fulfillment companies can’t match this savings. This translates into lower fee structures offered to customers. The consistent changes and recalibration of dimensional weight (DIM weight) add further pricing pressure for online sellers of large, bulky products. This has a negative impact on costs, increasing the shipping costs for packages that would not have hit higher dimensional weights before the changes. 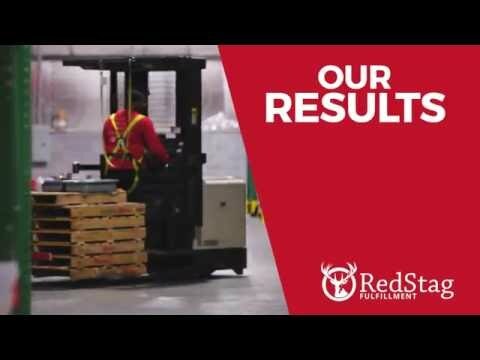 Because of Red Stag’s focus on larger size and weight products, we’re in a unique position to effectively assist companies and help minimize the overall cost impact of these new changes. Through planning, as well as capitalizing on our negotiated rate structure, Red Stag can help you craft a plan that is best suited for your business. As you can see, the specific physical characteristics of your product should help determine the best fulfillment service provider for you e. By paying close attention to any potential company’s specialization in this area, you get the benefit of enhanced service levels and lower overall costs. Want to learn more about Fit Small Business’ review of the best fulfillment service companies? For that or for any other of your business solution needs, head over to their website. You’ll see why they have become one of the most trusted sources for tailored business solutions.